Freebayes is a variant calling tool for short-read sequencing by Erik Garrison, Gabor Marth, and others, which played a significant role in the 1000 Genomes Project. It’s widely appreciated for its quality results, cost-effective performance, and permissive open-source license. 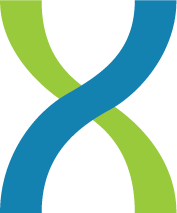 At DNAnexus, many of our customers have come to rely on it in their sequencing pipelines. But, like many software tools in genome informatics, its development might have stopped at the conclusion of its (hugely successful) sponsor project. We listened to our customers, and heard clearly that freebayes is too valuable to let that happen. A few months ago, we began working with Erik on a roadmap for ongoing development and maintenance with our support. Through our collaboration, Erik recently delivered a capability to generate gVCF output files, a significant feature both for individual genome interpretation and for aggregate analysis of vast cohorts. We’re continuing to refine that feature, and we have many more queued up to ensure freebayes remains a tool of choice for both research and clinical sequencing pipelines. Importantly, freebayes and our collective contributions to it will remain free for all to use and build upon, under the MIT license. Furthermore, best efforts will be made to assist all its users through public forums. We’d love to hear about your use cases and ideas to further improve freebayes – reach us on GitHub or Gitter, or send us a tweet. Erik remains in his day job, realizing a totally new paradigm in genome informatics, and we’re delighted he can also work with us to make freebayes endure as a tool the community can count on. 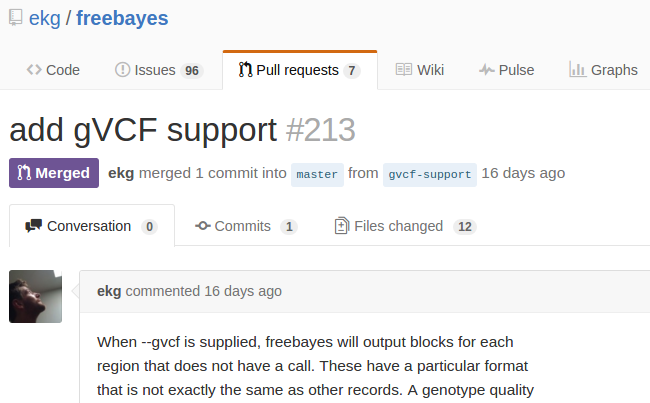 So to all the genome hackers out there: please hack on freebayes too! You can read more on ‘How to Freebayes’ on Erik’s blog.